A large, good quality, French copper ladle. 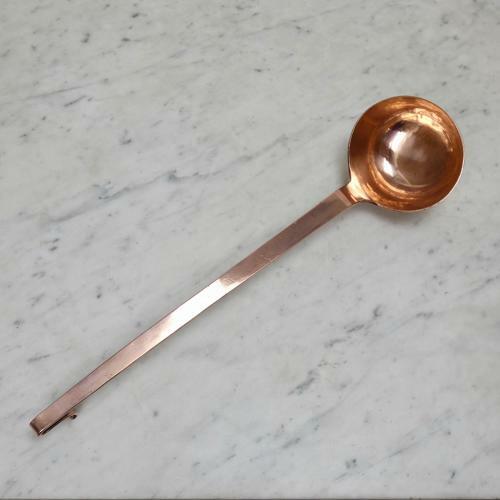 This ladle is made from a very heavy gauge of copper and it dates from c.1880. Originally it would have been tinned all over, but the tinning has now been removed, revealing the copper beneath. It is simple in form, with a turned end to the handle, shaped like a shepherds crook, for hanging. It is in excellent condition.